December Fish of the Month Entry - Crusty Carp! December Fish of the Month Entry - Perch Brace! December Fish of the Month Entry - Club Cod! December Fish of the Month Entry - Etive Spurrie! Savage Gear 2014 Catalogue - Online Now! December Fish of the Month Entry - Winter Wrasse! GAC Festive Opening Hours 2014! December Fish of the Month Entry - Lamprey Eater! December Fish of the Month Entry - Pirked Tuna! December Fish of the Month Entry - Kayak Pike! December Fish of the Month Entry - Etive Ling! December Fish of the Month Entry - Cool Cuckoo! December Fish of the Month Entry - Zippy Conger! December Fish of the Month Entry - Highland Pike! December Fish of the Month Entry - First Skate! GAC's 12 Deals of Christmas 2013! December Fish of the Month Entry - Uptide Cod! December Fish of the Month Entry - Nice Double! December Fish of the Month Entry - Monster Pike! December Fish of the Month Entry - Needles Cod! December Fish of the Month Entry - Scottish Esox! 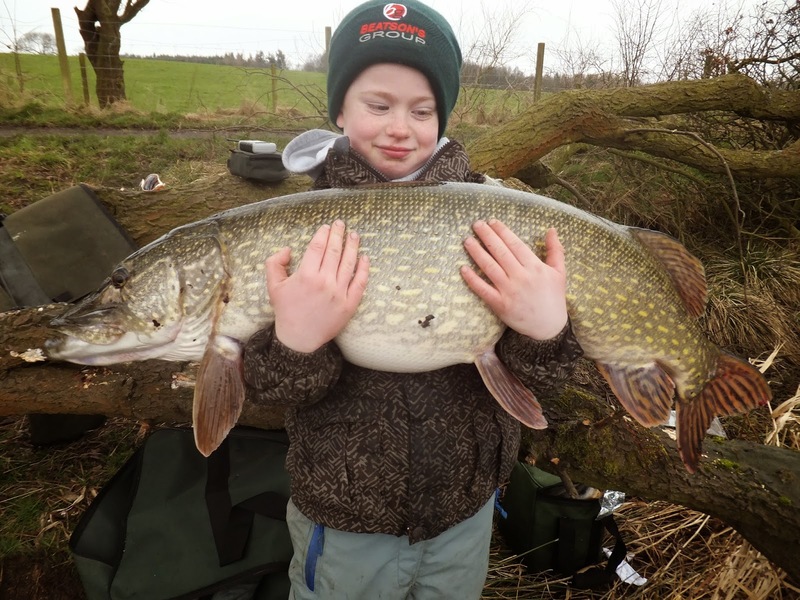 Young Lennon Baxter with his second biggest Pike, caught on a Lamprey deadbait fished in 15ft of water! You can vote for this picture to win on Facebook by selecting it in our December 2013 FOTM gallery HERE and hitting the 'Like' button!